That was as far as I got last week. I needed to breathe for a while and stop feeling so frustrated about my lack of skill. I could see some of the problems right away but others were just completely mysterious. How do I make the background agree to be background and stop trying to be foreground? 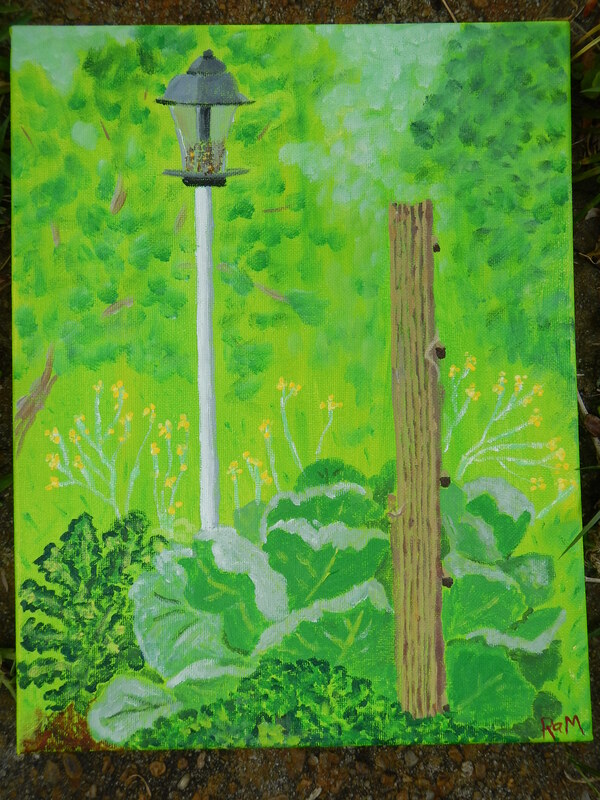 How do I shut up my left brain, which knows exactly how big the trellis is, and just paint what I can see, which is a lot less of it than I know is there? How do I do that gorgeous collard plant justice? I tried again today, with a real canvas, and I still have all my questions. I do like this one a little better than the study, but problems are pretty much all I can see. I’m sharing it anyway. It’s a painting and it counts, even if it was an exercise in frustration. I want to paint landscapes, so I have to try, but I sure have a lot to learn. Learning takes time. Even if I don’t much care for the painting, I am learning how to hold a brush and how to pick up paint and how to cover empty spaces with it. I’m trying things. If they don’t work, I’m learning that I need to try other things. It’s called “trial and error” for a reason. Even if it makes me uncomfortable (and oh, it does make me uncomfortable), it’s helping me learn how to paint. The important thing is that I am not giving up. I don’t absolutely hate the whole painting. 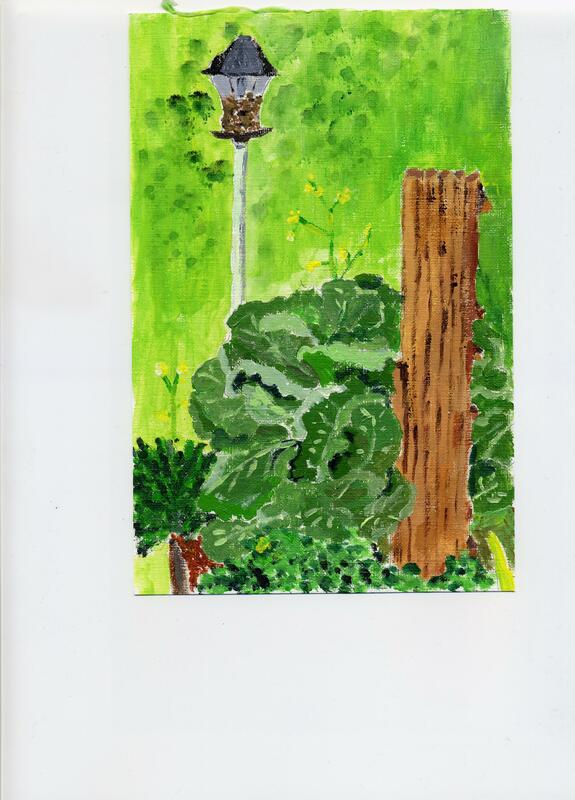 I do like the bird feeder, which is interesting because I hadn’t originally planned to include it. You may be wondering why I didn’t include any birds. That’s one question that’s easy to answer. The cardinals didn’t show up and there was no way I was going to paint those big, fat, greedy doves. This entry was posted in Uncategorized and tagged collard greens, creativity, frustration, painting, persistence on April 24, 2014 by releaf1954. I think it’s time to admit that I will not be joining my daughter in Camp NaNoWriMo this month. I just have too much going on and I can’t crank out the words as easily as my daughter can. She’s set a goal of fifty thousand words in the month of April and she already has nearly forty thousand. She will reach her goal. I will let this one pass me by and hope to get back on the bandwagon in July. That’s the next session of Camp NaNoWriMo and by then I will have survived the grueling tie-dye marathon that others call April and May. So far, I am still managing to do a little bit of painting. While I was in North Carolina, I tried a small landscape. I did it from life, but I did not go out in the snow. 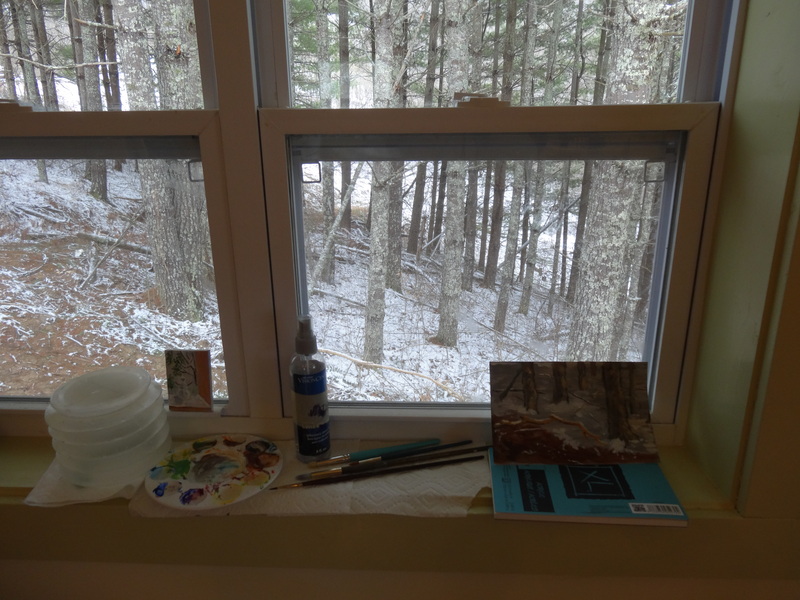 I set up my paints on the windowsill of my sister’s cottage and painted what I could see out the window. 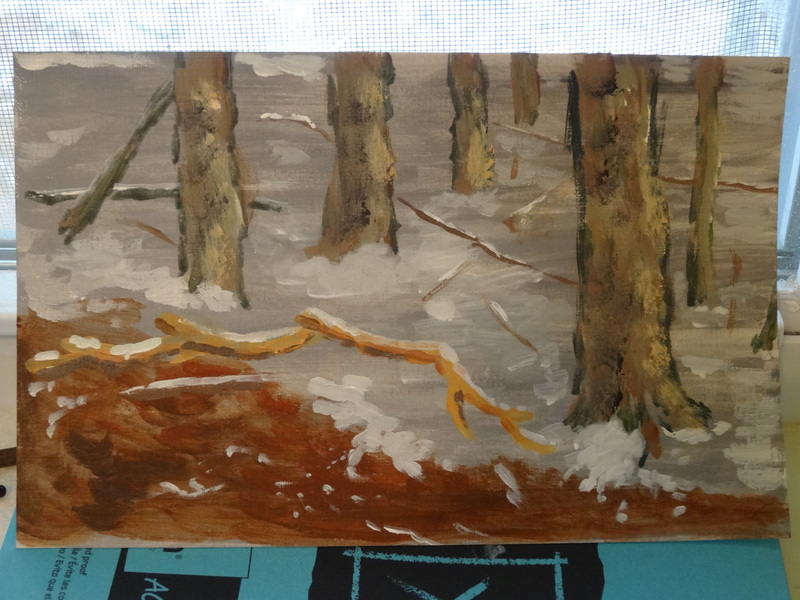 I was excited about the unexpected snow but, of course, I had never tried to paint snow before. 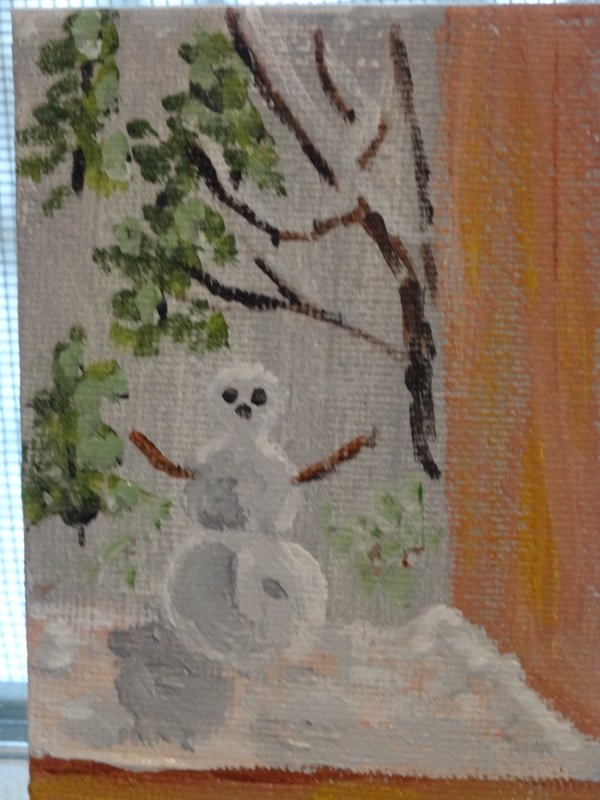 I don’t get too many chances to paint snow in Florida. I’m proud of this little study because I successfully used my new scumbling brush to create texture on the trees. Look – I scumbled! 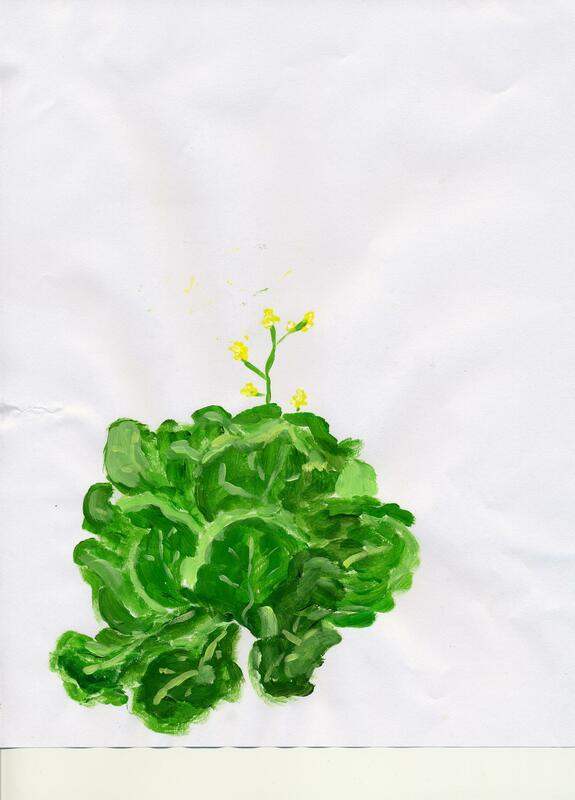 More recently, I’ve been adding to my series of itty bitty paintings of vegetables. 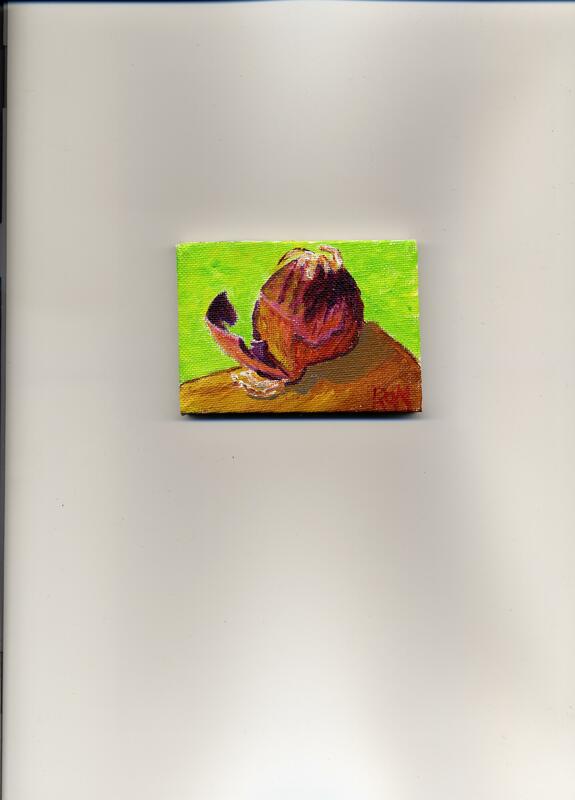 Last week, I painted a red onion. 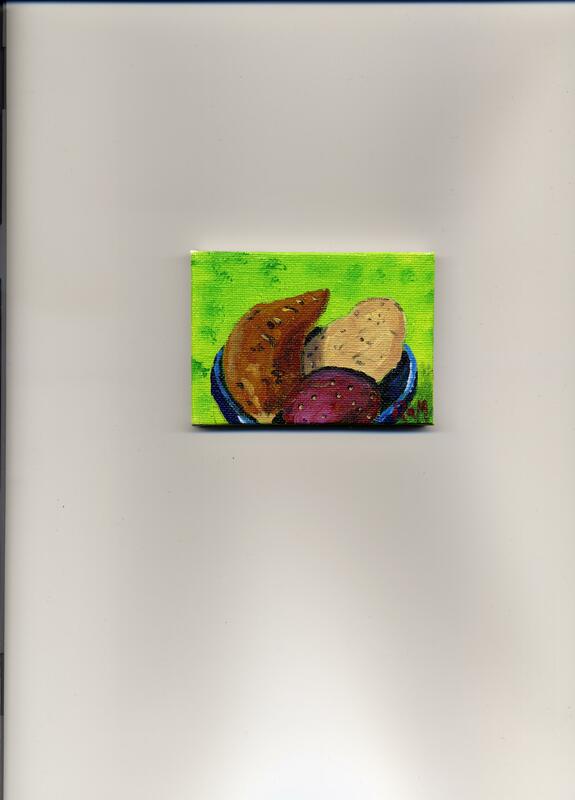 This week, I painted three different potatoes (red, russet and sweet) in a blue bowl. These are not the only things I’ve worked on lately, but the others were studies that have not yet developed into anything I want to share. I get excited when I paint a decent potato and then I try things that are way beyond my skills. In times past, my unsuccessful attempts would have made me give up, but not now. I just keep telling myself that I’m a beginner and I have a lot to learn. Learning takes time. I am going to put in the time. I’ve made a commitment. Last year, I didn’t publish a single blog post in April, May or June. In July, I committed to posting at least once a week and I haven’t missed a week since. Commitment makes a difference. 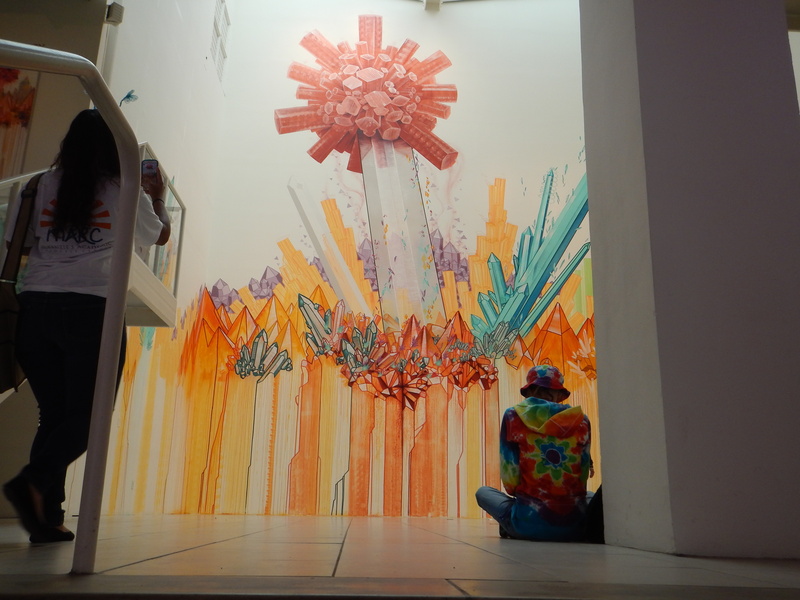 This entry was posted in Uncategorized and tagged commitment, painting, scumbling on April 17, 2014 by releaf1954. Warning: This is going to be a picture-heavy post. It is also going to be a Jacksonville-centric post. Jacksonville, Florida is where I live and I don’t often get a chance to brag about it, but I’m bragging today, because today, my daughter and I went to One Spark. What’s One Spark, you say? If you live in Jacksonville and you’re saying that, you really need to come out from under your rock a bit more often. 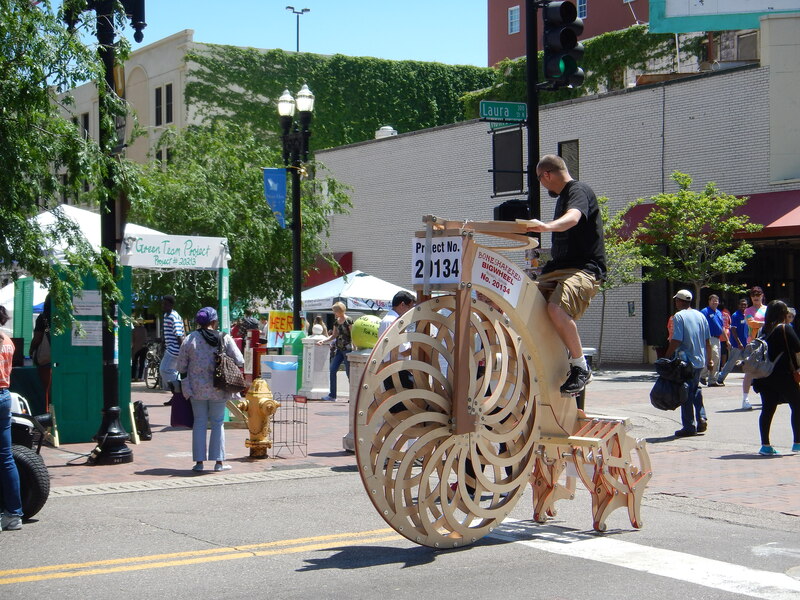 One Spark is a huge crowdfunding festival and it’s happening right now in downtown Jacksonville. It continues through Sunday, April 13, 2014, so (if you’re reading this near its posting date) you still have plenty of time to experience it. You should; it’s awesome. The point of One Spark is to give Creators a chance to get the attention of investors who can help them make their creative dreams real. Thanks to some generous sponsors, there are big pots of money to be won, but any and all people who attend have the opportunity to support any project that wows them. That’s where the crowdfunding comes in. One person may only have a few dollars to give, but there were forty thousand visitors there the first day. If only a fraction of them decide to give what they can to a favorite project, their contributions could add up quickly, and I sure hope they do, because we saw some amazing projects. I’m getting ahead of myself, though. 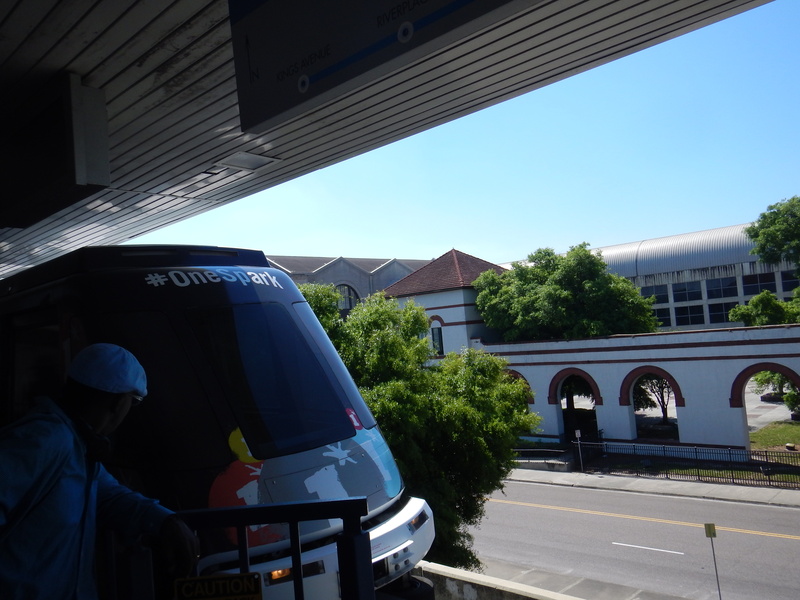 It all started with free parking at the convention center and a free ride on the Automated Skyway Express. 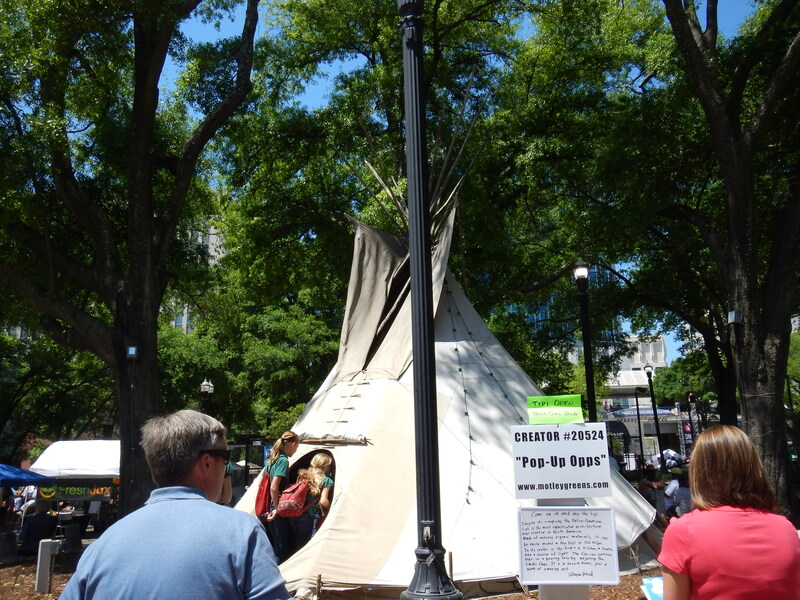 This took us to Hemming Plaza, where we checked in at the One Spark kiosk. You need to check in to vote and contribute, so by all means, check in. 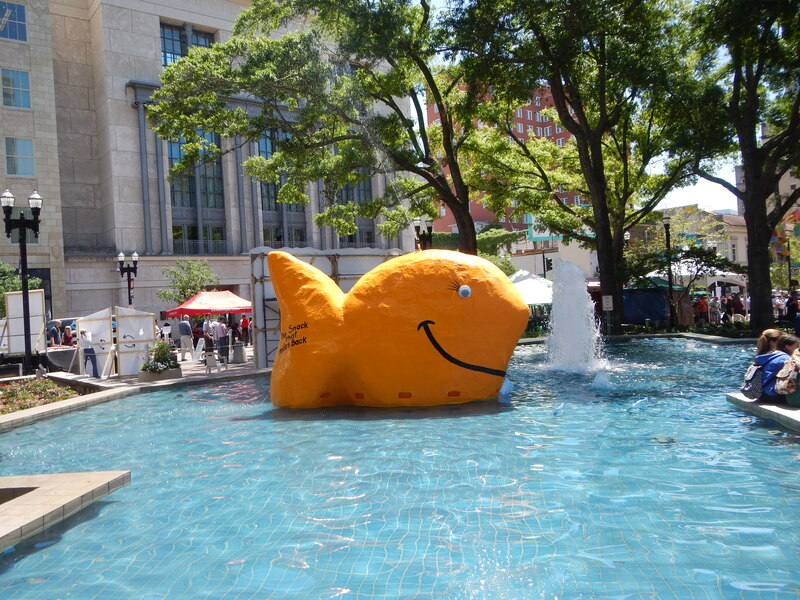 We saw lots of cool things in Hemming Plaza, including a tipi under a tree and a giant goldfish in the fountain. It was hard to decide where to go from there. Art and entrepreneurs were everywhere. We saw art being made right in front of us. We saw it passing by. 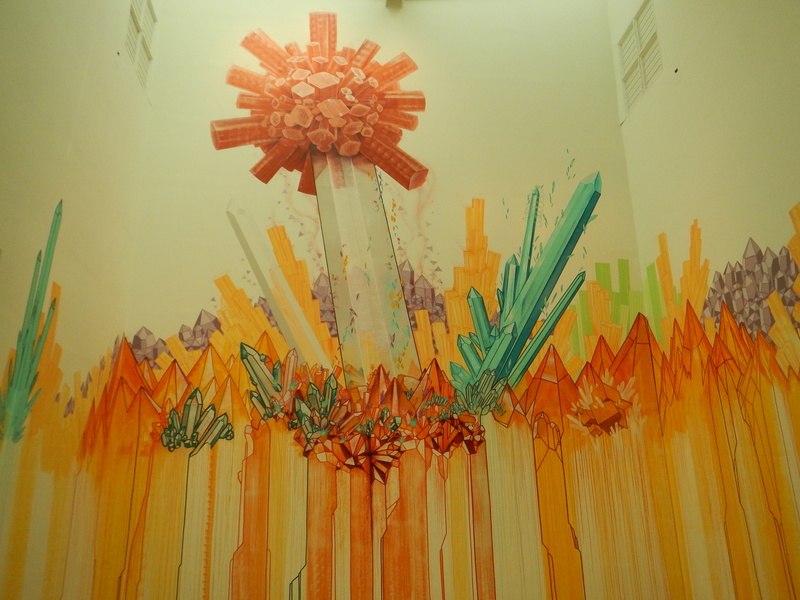 We saw the amazing new mural by Shaun Thurston in the atrium of the Museum of Contemporary Art. My daughter plunked herself down on the floor to take it in. After a while, my purse started feeling heavy, so I told her I would sit on a bench while she finished doing whatever it was she was doing. Once we were finished appreciating, we started to feel hungry. There were many options, including a food court, but my daughter had seen a restaurant with potstickers on the menu, so her choice was already made. It turned out to be a good choice. She had the potstickers and I had the tofu curry. It was almost too pretty to eat, but I somehow forced myself. 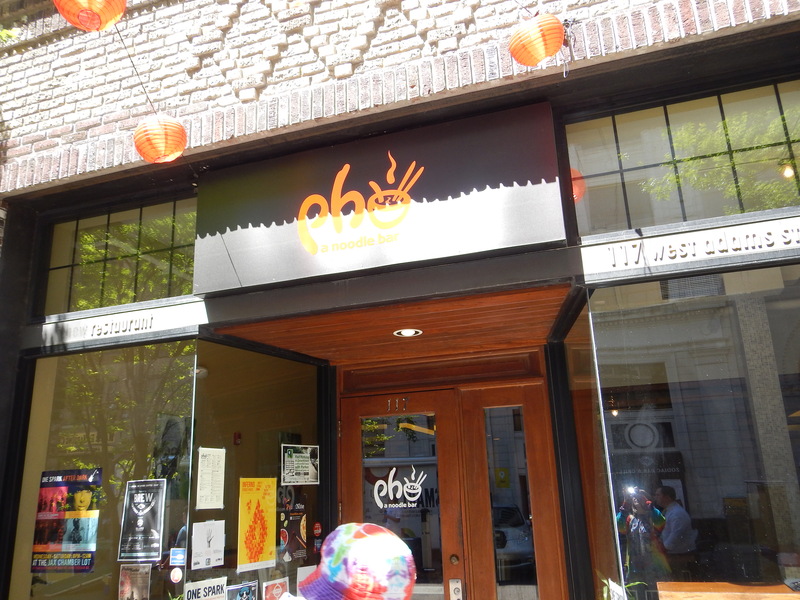 The restaurant was Pho – A Noodle Bar. As soon as she tasted her potstickers, my daughter started texting all her friends to recommend this restaurant. I don’t text, but I blog, so I’ll add my recommendation here. Go to Pho. 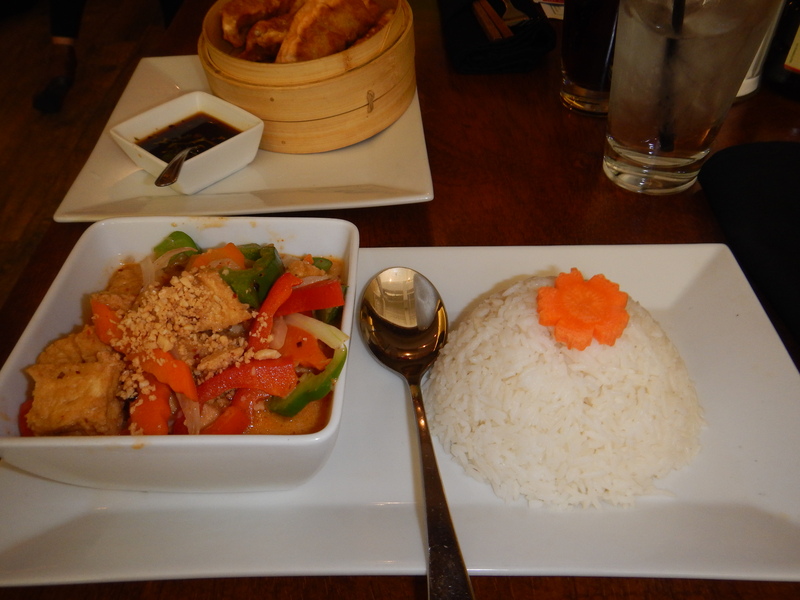 The prices are reasonable and the food is wonderful. The service is prompt and friendly, too. Once food had been acquired, I went in search of coffee, which I found in the place my daughter calls the Temple of the Money Gods (the Bank of America building), which had some interesting Creators in the lobby. Then we went to another Temple of the Money Gods (the Wells Fargo building) to check out the Creators on the second floor. I kept seeing the word “EdSpark” and wondering who Ed was until it finally hit me that all these Creators were trying to to fund projects that were educational. My daughter homeschools her children, so we spent a lot of time at EdSpark. I found a great quote on the wall. 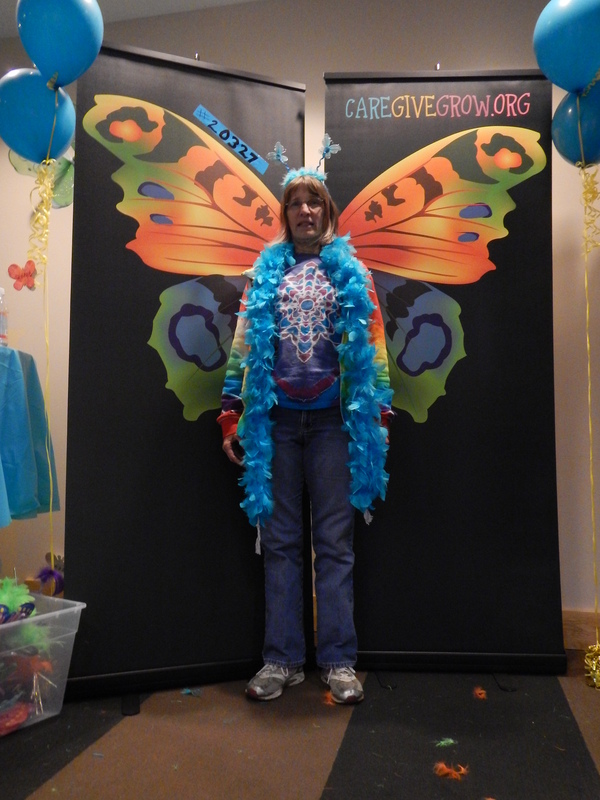 I also found a place where I could be photographed with deely boppers, a feather boa and butterfly wings. Sorry about my expression; I think I was trying to explain the camera to my daughter. 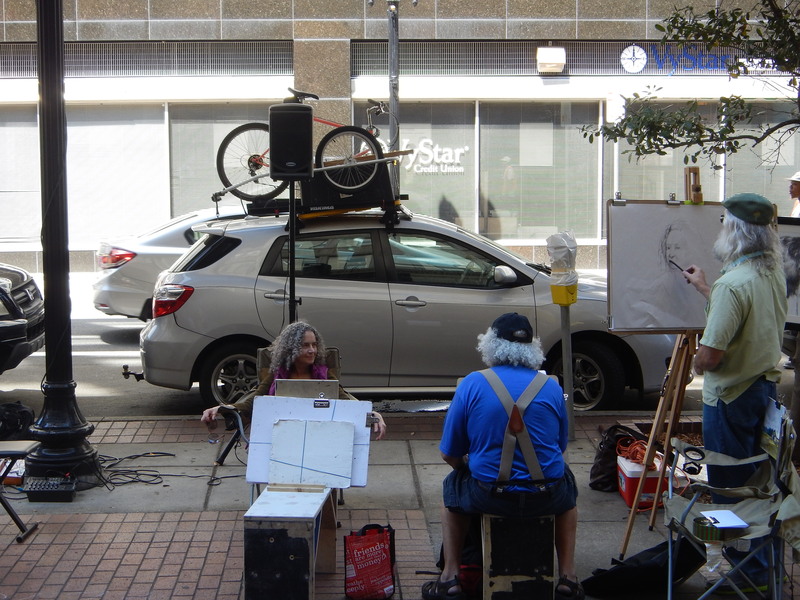 There was so much amazing art and enterprise at One Spark that we could only see a fraction of it in one day. While I was writing this post, my daughter called to ask me if we could go back tomorrow and take the kids. Of course, I said “Yes.” We should really be making tie-dye, but One Spark only comes once a year. 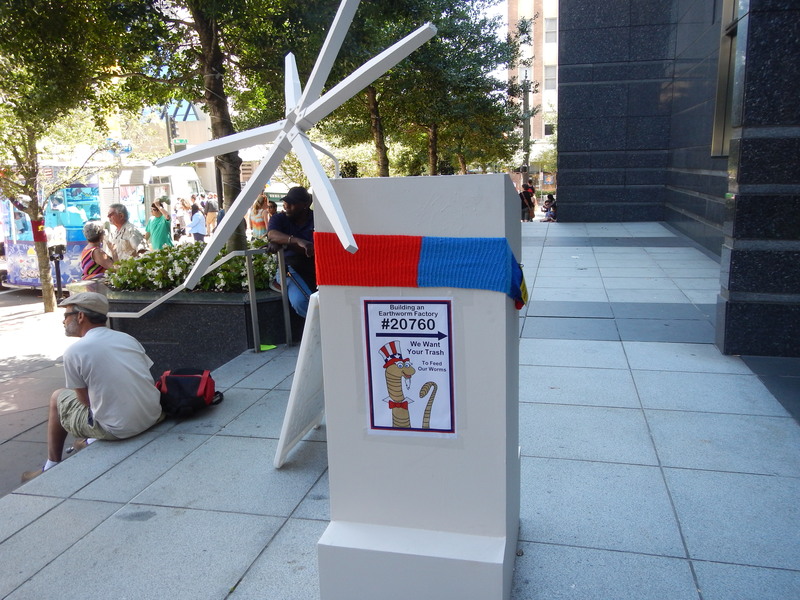 This entry was posted in Uncategorized and tagged art, Automated Skyway express, creativity, downtown Jacksonville, EdSpark, One Spark, Pho -- a Noodle Bar, yarn bombing on April 10, 2014 by releaf1954.